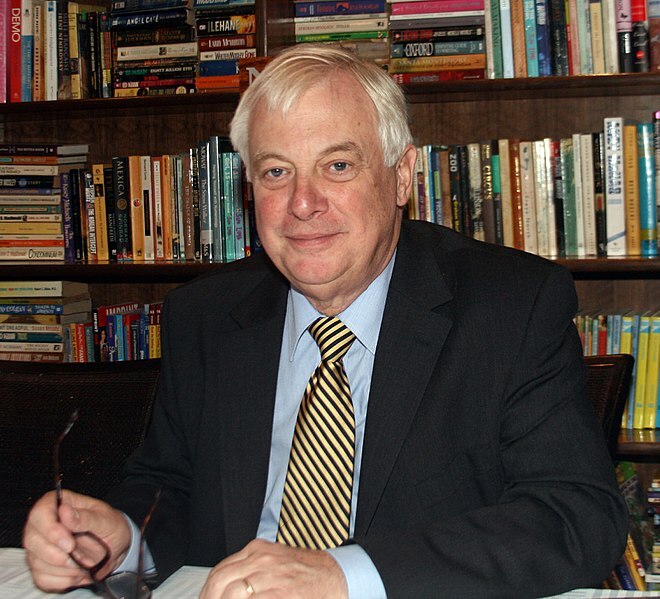 Oxford Chancellor Lord Chris Patten visited the Stubbs Society on Wednesday of 4th week to discuss the changing world, Brexit and “safe spaces”. The Oxford Student interviewed Patten after the event to push him on some of the key questions which had arisen in his talk. The recent petition that has been brought against John Finnis to have him removed from teaching for his remarks on homosexuality has prompted discussion about the nature and limits of academic freedom. In his talk Patten expressed concerns about the culture of safe space in academic institutions, arguing that universities should be “bastions of liberalism” which includes the right to freedom of speech. Expanding on this notion, he recalled to The Oxford Student: “my moral tutor when I was here was a Marxist atheist who’d been a member of the communist party until the 1956 Hungarian uprising. He wrote a tribute to Joe Stalin, mass murderer, when Stalin died. He was actually a wonderful historian and a very nice man. Did he so invade my safe space as to affect my life, my culture, my sensitivities? When it was put to him that some students may not feel free to go to classes taught by people who they perceive to be discriminatory against them, he told us: “when I was in Hong Kong just over a year ago, I was standing up for freedom for students who, in difficult circumstances, were arguing for the right to free speech. I think it’s bizarre to come back to a free society, where students aren’t under the same oppression as they are there, and find people arguing against free speech. But how effective is free speech as a tool to challenge bigotry and racism? Here, Patten argued, Enoch Powell’s 1968 anti-immigration ‘Rivers of Blood’ speech provides a helpful case study. “Would I defend his right to make that speech in Wolverhampton? Yes, I think it was a disgraceful speech and it did his reputation huge damage and there were some very brave people at the time who stood out against him. The conversation the turned to Brexit and how it might affect Oxford University. “The truth is that no one knows, including the government, what Brexit is going to actually means – were still in negotiations, which at the moment still seem to be intent on discovering that there are after all fairies at the bottom of the garden. So it’s difficult to know exactly what the impact will be on any sector of national life. Having said that, were trying to do what we can, in Oxford, to cover the more obvious eventualities, which is why we’re developing a very good relationship with Berlin and universities there. We’re very concerned about what happens to European grants because we’re the biggest recipient of the most significant ERC grants in Europe, and above all, I think it’s a matter of the status of individuals, both postgraduates and undergraduates, and above all, teaching staff. I’m not quite sure how much attention the government has given this. But the research collaboration is such an important part of the role of a world class university. That is, I think, the issue about which we have to be most concerned.